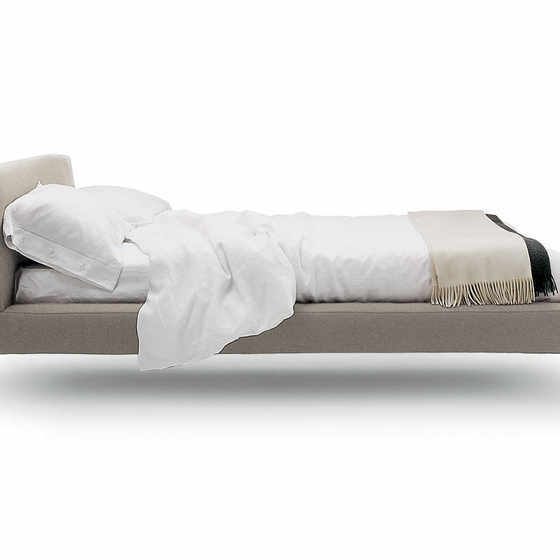 Comfort is key when choosing a bed, but that doesn’t mean that style comes second. 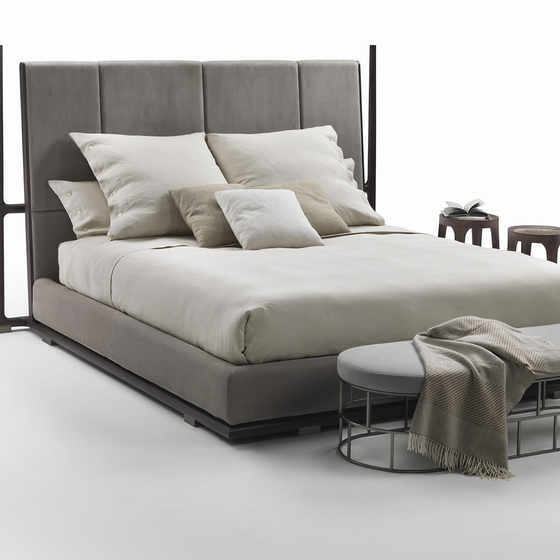 There is a huge array of bed designs, from a clean, simple wooden frame to an upholstered, tall bed head that brings texture and drama to the bedroom. 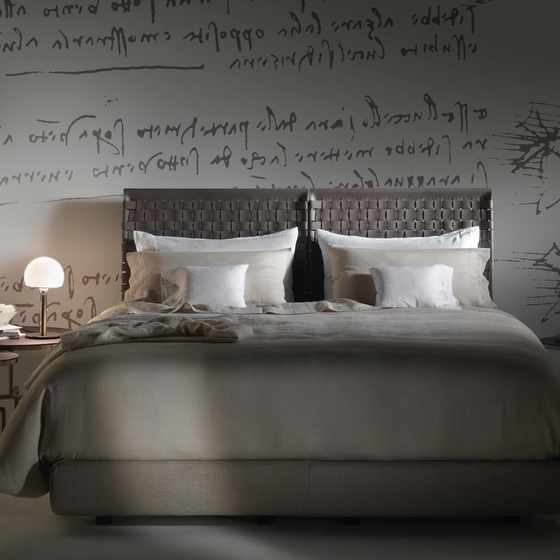 There are many elements that make up a beautiful bed, however the headboard is perhaps one of the most important. 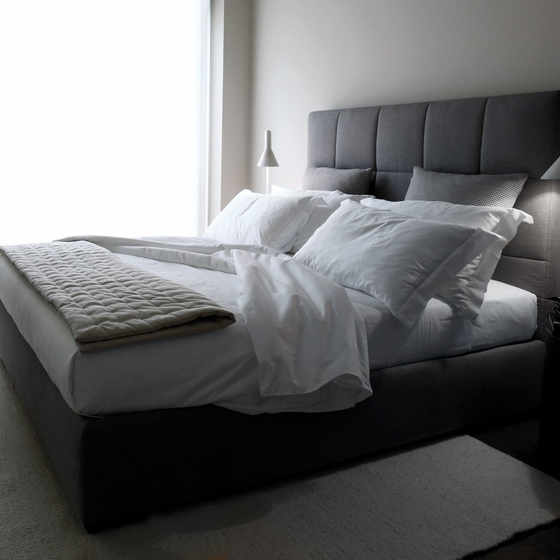 Select a style that has a low and unobtrusive bed head for a clean, modern look - a wooden frame with a natural finish has a certain Scandinavian chic, or a low, padded headboard that is upholstered in a fabric to compliment the other soft furnishings will have a tactile quality that so suits a bedroom whilst still retaining an understated elegance. 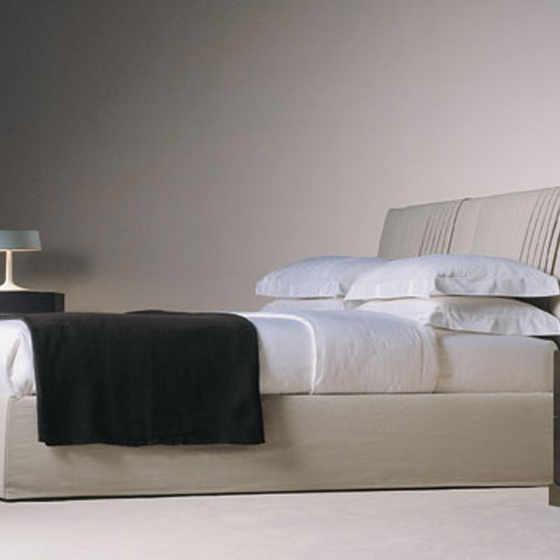 A high headboard creates a strong presence, adding height and another dimension to a typical luxury bed frame. 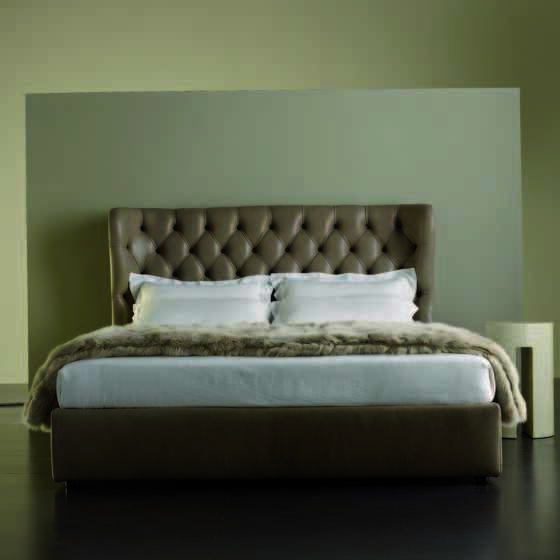 Tall bed heads will often be finished in luxurious and interesting fabrics - with some upholstered in leather or suede for a plush, tactile feel and others suiting a fabric upholstery. 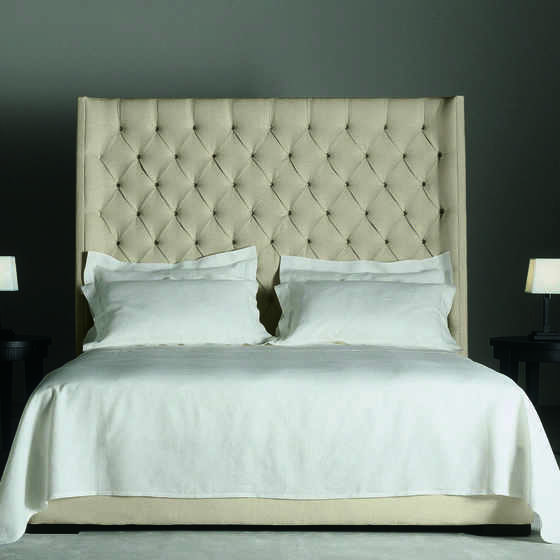 A large headboard can either be a smooth expanse, or it can be given detail through stitching, or even borrow from the pattern that is traditional to the Chesterfield, with a button-backed detail across it. 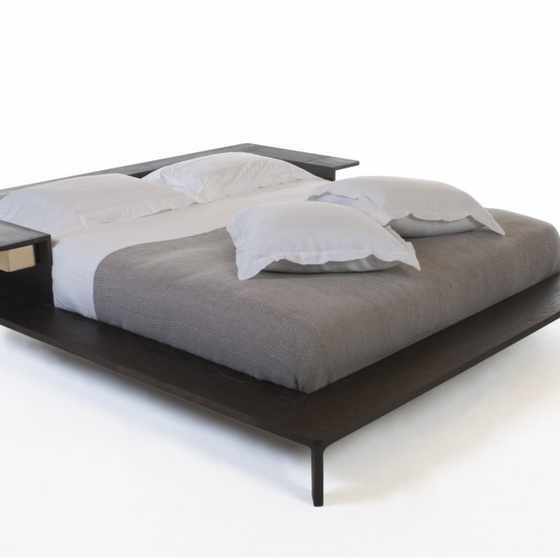 The bed frame has several choices, ranging from a solid base that sits directly on the floor, to a frame with feet that lift the weight of the bed from the floor. 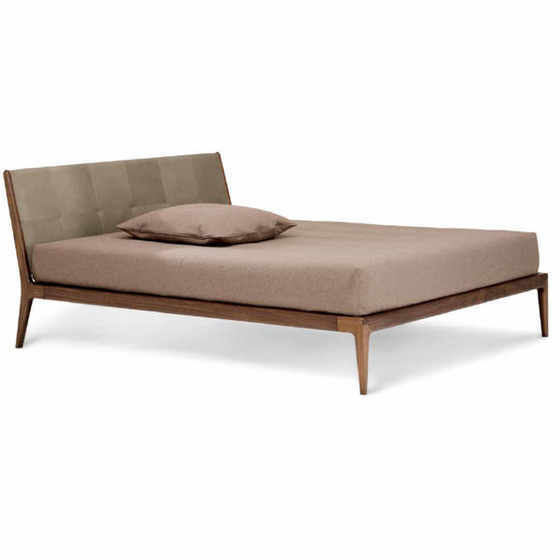 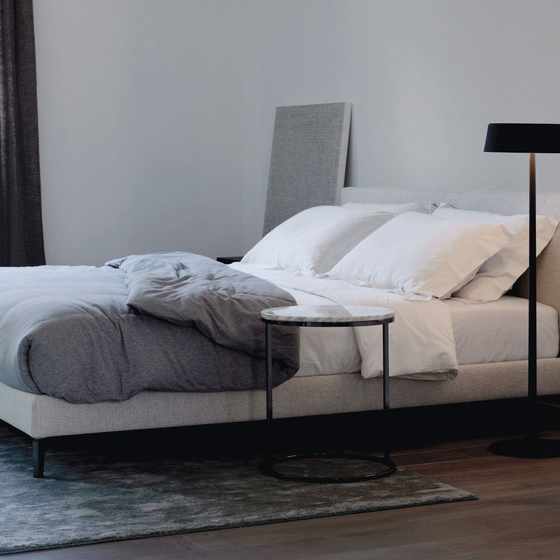 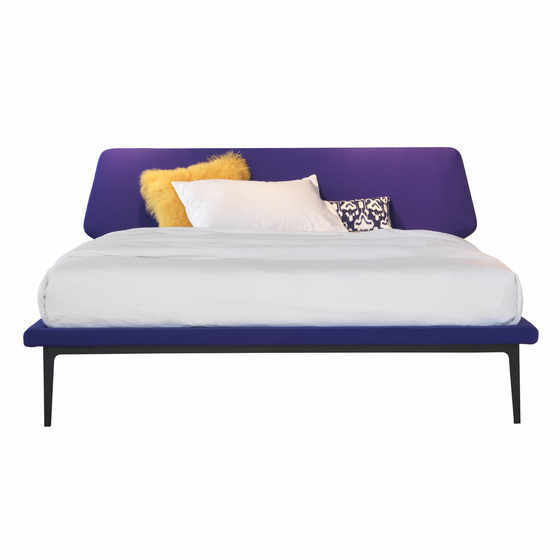 A bed frame that has feet will increase the sense of light and space of the piece, which can be invaluable in a smaller room but also has a more rigorous form that suits a light, bright, contemporary home. 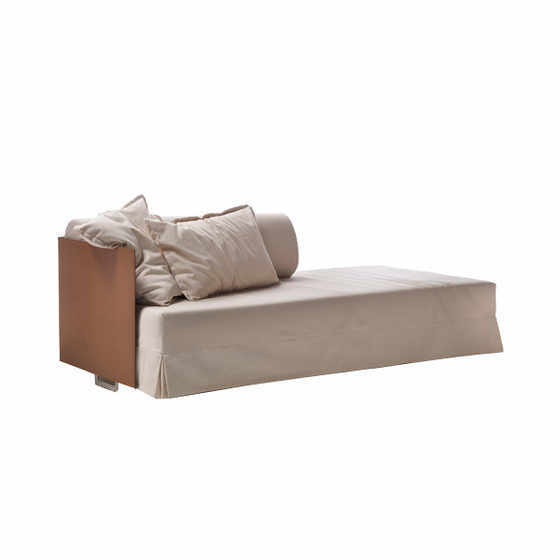 Slim feet can be made in either wood or metal, which bring a different feel to the piece - with wooden feet bringing an earthy, mid-century modern look, whilst metal feet bring a start, ultra-modern feel to the piece. 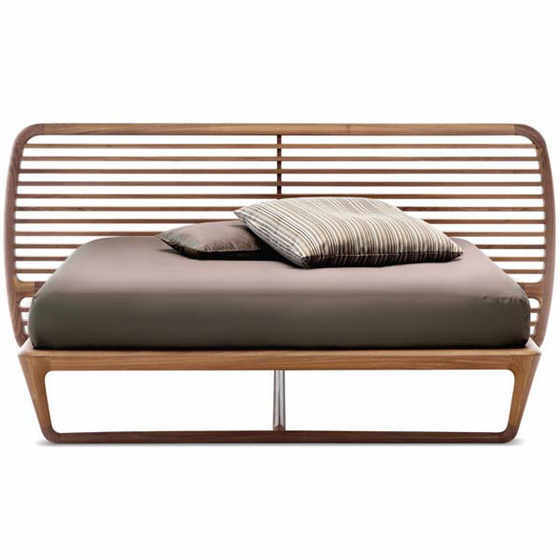 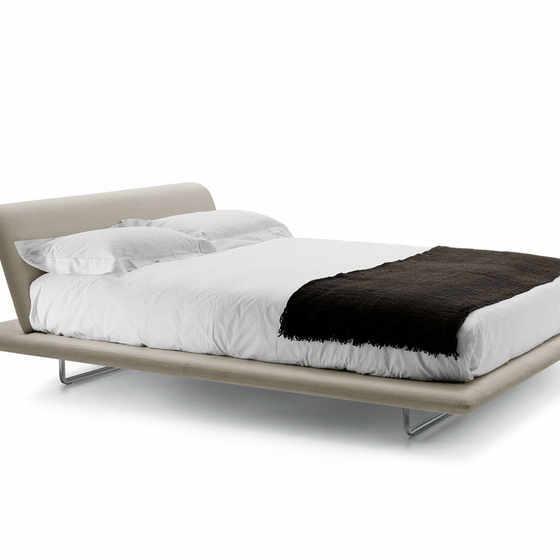 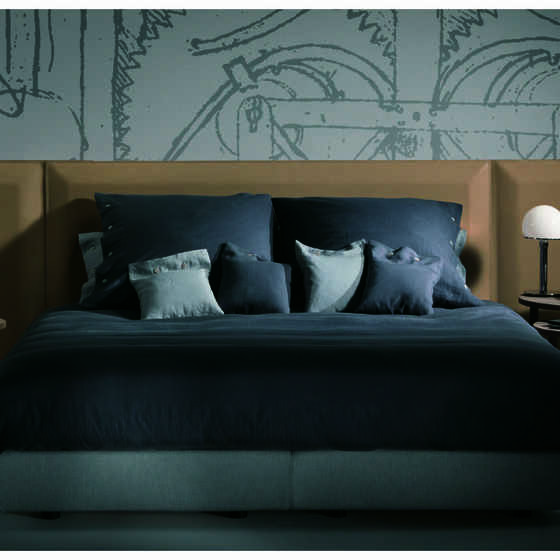 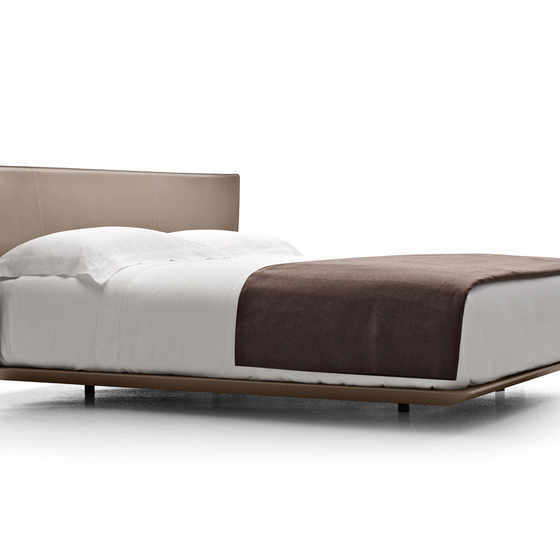 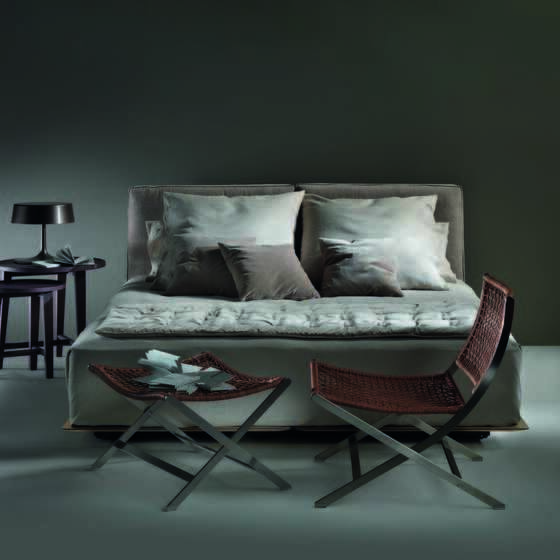 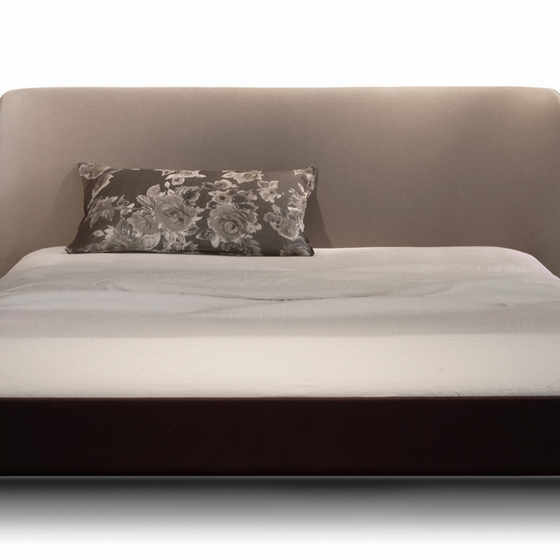 Modern bed designs make a feature of the mattress - so that it sits proud of the frame, rather than being sunk into it. 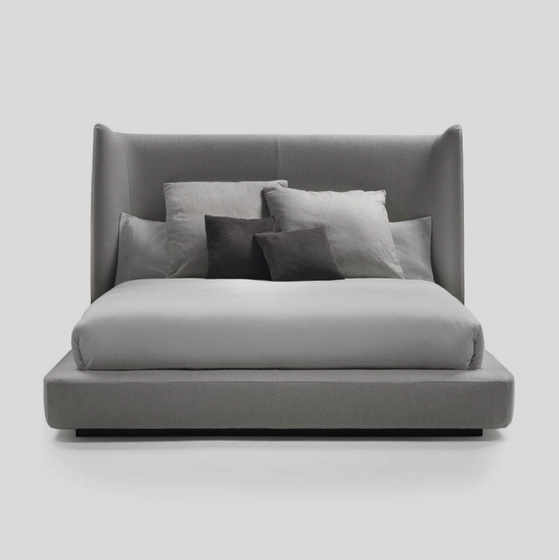 This gives a beautiful stacked look to the design, where the frame can either sit flush with the dimensions of the mattress, or alternatively, the frame can create a border around the mattress. 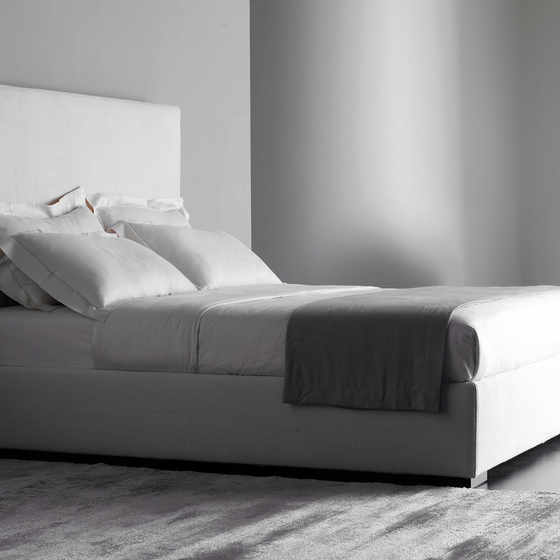 In many designs where the frame extends from the mattress, it creates a sense of coziness, with the mattress as an island - which is in contrast to the simple, clean lines that are achieved when the frame and mattress mirror one another.